Those stylin' sunglasses look good. Pokemon Go's next Community Day is coming soon, and Niantic has already shared in the past that we'd be able to capture a Squirtle with some type of special move, but there's a new surprise that was just announced that we had no idea about. It looks like some players will be able to seek out a cool-looking Squirtle with special sunglasses, just like those seen in the Squirtle Squad! Niantic took to Twitter to announce that players who had completed Field Research tasks during the Community Day will raise their chances of encountering a Squirrel wearing sunglasses, in reference to the awesome Squirtle Squad who donned the same specs in the Pokemon anime. 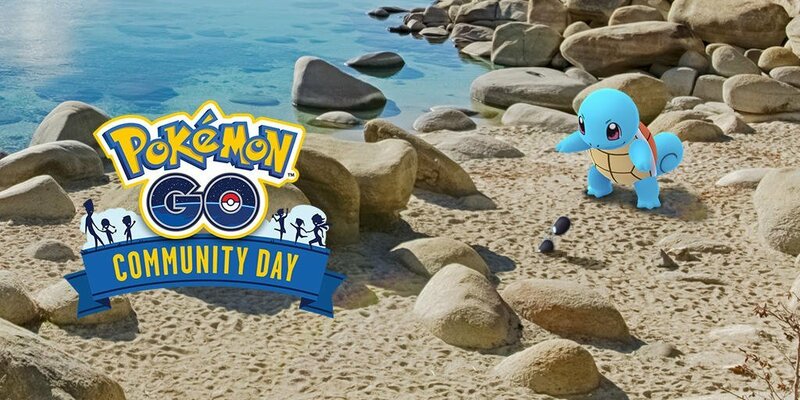 There's also a chance of uncovering a Shiny Squirtle during the event, just as all Community Days past have introduced. Beyond that awesome news, any Wartortle that evolves into Blastoise during the event before the end of Community Day will learn the Hydro Cannon, which is a powerful Water-type attack. The event runs for a three hour window and begins at 2 PM ET on July 8, so make sure you don't miss out!